The lighting design is closely integrated with the architecture, using linear slots and coves that wash walls and soffits with light. The window recesses are also used to create a sense of light and form. 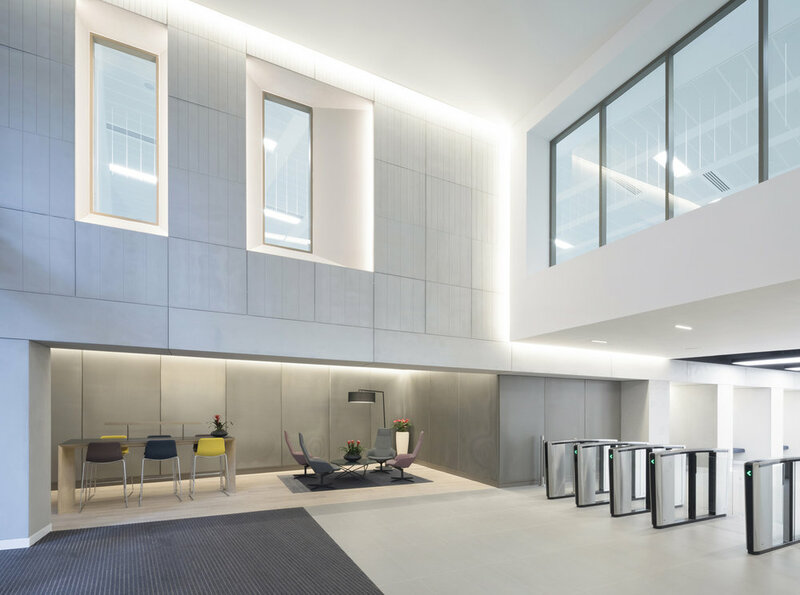 The lift lobby has a ceiling formed from panels of light recovering the sense of a lit atrium and creating a significant level of brightness to draw people through the building from the outside. 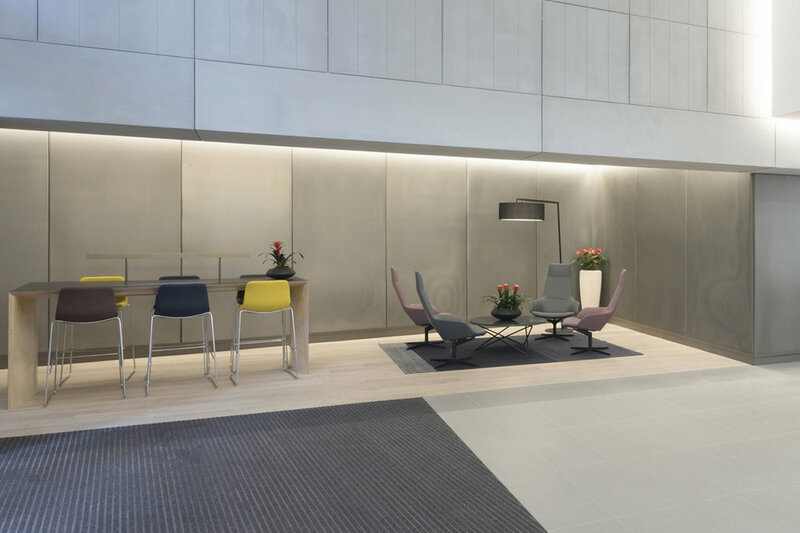 The lighting is warm LED throughout, creating a feeling of richness to the materials specified within the spaces, and indirect lighting creates a softness and pleasantness for those waiting in reception.